Hello guys, today I am going to share a list of free OCAJP7 and OCPJP7 mock exams and online practice tests. If you are preparing for Java SE 7 Programmer 1 or 2 certification or upgrading your existing OCJP 6 exam then this will help you to gauge your progress. As per my experience, the three keys to success in any Java certification is a selection of good books, writing small Java programs to understand concepts, and practicing mock exams. You can see that mock exams are very important to do well on the real exam. They give you much-needed practice as well as some idea about what kind of questions you can expect on real exams. Unfortunately, there are not many good quality free mock exams available for OCAJP7 but I have managed to collect some of them. Earlier, I have shared some OCAJP8 mock exams and received a lot of feedback from my readers about a similar list for OCAJP7 and OCPJP7 exams. This is a smaller list as compared to the previous one but I'll keep adding new mock exams if I come across. 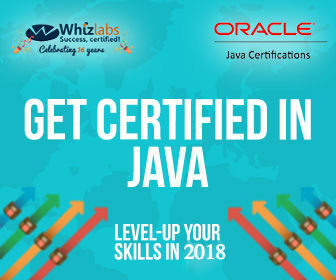 For those who are new to Java Certification space, From Java 7 onward, you need to pass two exams the OCAJP and OCPJP to become an Oracle certified Java developer. The first one is known as associate level exam and the second one is known as professional level exams. The key difference between OCAJP and OCPJP exam is that the OCAJP is easier and aimed for beginners while OCPJP is tougher and aimed for experienced programmers. OCPJP also covers lot more advanced topics e.g. NIO, JDBC, Localization etc. The topics for upgrade exam (1Z0-805) is also similar to OCPJP and that's the only way to become a Java SE 7 certified developer by giving just one exam, though, the prerequisite is previous Java certification e.g SCJP 5, SCJP6 or OCJP 6. To be honest, these free mock exams are not enough for full preparation and you need to buy a commercial exam simulator like Entuware, Kaplan, or Whizlabs. But, they certainly give you idea about which one to buy. I personally like Whizlab's exam simulator as I have used them previously. The best part of Whizlabs exam simulators is their detailed explanation and most up-to-date format to reflect the real exam like preparation. You can check out some free tests from Whizlabls to gauge the quality of exams before buying the full set. This is the list of some of the free OCAJP7 and OCPJP7 mock exams, mostly from the vendors who sell online and offline Java certification simulators. Apart from some free practice and giving you the idea about the level of difficulty you will face in real exams, you can also use these practice questions to check the quality before buying any OCAJP or OCPJP exam simulator. When I gave my Java certification I chose both Whizlabs and Enthuware because of their quality and I wanted to cover everything, but you can always use these practice tests to make your decision. This free mock exam contains 15 questions for OCAJP7 Exam 1Z0-803. You can use this mock tests for self-assessment and gauge the quality of Whizlabls exam simulator. If you like the questions, you can buy the full-length OCAJP7 practice tests, which contains 5 full-length mock exams (580 unique questions) and Objective based practice tests to improve your preparation. It also provides reports on your strong and weak areas, so you know exactly which topics need improvement. This is a free mock test for OCPJP7 Exam 1Z0-804. It contains 36 questions and you can take it online. Similar to previous tests, you can use this mock exam for self-assessment and check the quality of Whizlabs OCPJP 7 exam simulator. If you like the questions, you can buy the full-length OCPJP7 practice tests, which contains 5 full length mock exams (745 unique questions) and Objective based practice tests to boost your preparation. The EPractize Labs OCPJP7 mock exam is another good free mock test which contains 25 sample OCPJP 7 (1Z0-804) questions, these questions are collected from EPractize Labs OCPJP 7 Training Lab Simulator. The exam OCPJP 7 Free Mock Exam can be taken online or offline. Click Take Exam to attend online, click Download to save this exam on your computer or laptop. 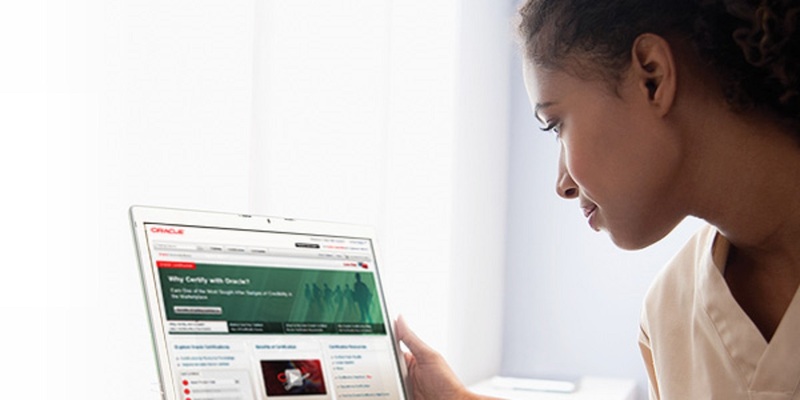 These OCAJP7 sample questions are provided from Oracle to familiarize candidates with the multiple-choice format and writing style of questions that will be found on the exam. Sample questions may not cover the full spectrum of difficulty that is covered by the exam questions. Success on the sample questions does not predict success on the exam. The answer is also provided at the bottom of the page. Unfortunately, there are not many good quality free OCAJP 7 mock tests, but if you can spend some money at least 10$, you can buy Enthuware mock tests, which are of excellent quality and contains more than 500 questions. If you are using OCAJP study guides like OCA/OCP Java SE 7 Programmer I & II Study Guide, you get access to 500+ practice exam questions and a test engine that provides practice exams and customized quizzes for different exam objectives. That's all in this list of free OCAJP7 and OCPJP7 mock exams. I'll add more good quality, free mock tests and online exams for both OCAJP7 and OCAJP7 certifications. If you come across any good free mock test, don't forget to let us know via comments. Hey Javin, David Mayer here from www.java8certificationquestions.com . Thank you very much for this list of online practise test. I would like to tell your reader that the Java7 certification, AKA 1Z0-803 and 1Z0-804, are now obsolete. At www.java8certificationquestions.com we developed to brand new simulators for the new Java8 certifications AKA 1Z0-808 and 1Z0-809. Java8 is a radically different from Java7, thus I strongly advice your readers to go for the new certifications. David Mayer.